Former BBN Housemate, Nina excited as she is set to graduate from IMSU. 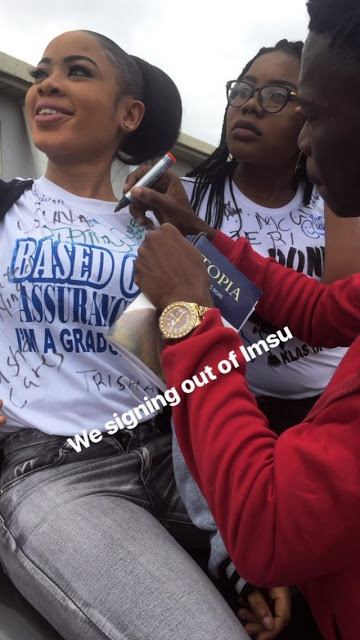 Former 2018 Big Brother Naija finalist, Nina Ivy has finished her final examination and set to be an English graduate of Imo state University (IMSU). Nina took to her Instagram story to share photos of her celebrating with her course mates in the University. Stay connected for more updates and gist from big brother naija housemates. Rico Swavey reveal Relationship with Nina as He Congratulate Her on successful Graduation from IMSU.